Back in the day, if you pulled up a chair at the kitchen table with the punk kids and hoodrats who ran riot in Craig Finn’s songs then your elbows had to settle for the gaps between empty beer cans and little bags of powder. To your left and right everyone was tired and wired—perpetual motion, with hearts set on the top but heads sweating rock bottom and the latest killer party. That was the way of things in the bloody, ugly, triumphant tales that defined the early years of the Hold Steady. Sidle up alongside some of the faces making their way through the world of Finn’s new solo record, though, and you’ll find something different. There’s the same scratched Formica, and some heavy eyelids, but fewer big plans and reckless moods. Instead, the talk on ‘I Need a New War’ is about the latest rent hike, or how much a bag of groceries cost that morning. Finn is in town following a short sightseeing trip to Lisbon, which bookended a long run of pared-back shows with the Gaslight Anthem’s Brian Fallon on both sides of the Atlantic. The ensuing days, meanwhile, will see the curtain raised on the latest instalment of the Weekender, the Hold Steady’s now annual celebration of loud noises and old friends in the English capital. His solo work exists at this crossroads—it has long been concerned with stories that he describes as ‘smaller’ than the ones that underpinned his band’s booze-sodden finest hours, but they unfold on the same streets. ‘I Need a New War’ is the third release in a trilogy that began with 2015’s ‘Faith in the Future’ and continued with 2017’s ‘We All Want The Same Things’, and each record has focused on what amounts to a sort of modern inertia. The fact that album one’s title would be better deployed these days as a bitter, sarcastic barb is a bummer. Placing added stress on the shoulders of those who call ‘I Need a New War’ home is the fact that this could realistically be termed Finn’s New York record. It’s an interesting shift in perspective because, while it’s been 14 years since he sang “I wasn't even at that party, I'd already moved out to New York City” on the Hold Steady’s Chicago Seemed Tired Last Night, musician friends still ask him where to eat when their tour stops in Minneapolis. It’s not a perception that’s likely to die altogether—picture him in your mind’s eye and the cap he’s wearing has a Twins logo on it—and one line from the LP’s lead single, Blankets, seems to acknowledge that with a wink. “When we got to the Twin Cities I said, ‘Man, I know some songs about this place’,” Finn sings. But the city isn’t just the setting for these songs, it’s a looming presence. The rents are high in buildings with low ceilings, and the pace of things is ratcheted up to make absolutely sure any stragglers are cut loose. Gentrification isn’t something you read about in the op-ed section, it’s the reason the place you eat breakfast sometimes has become an Insta-ready kombucha spot or, even worse, the reason you’re getting evicted at the end of the month. “A lot of times on the new record people have something in their past that they’re trying to get through, or over,” Finn says. “Living in New York puts you hyper in touch with that. I’ve had my own apartment in Green Point since 2009, and the changes are wild. If you aren’t changing with it your rent’s going to go up, right? One of the finest songs on ‘I Need a New War’ is A Bathtub in the Kitchen, a fidgety ballad that squares the circle between pop megastar-era Phil Collins and Lou Reed in storytelling mode. It’s achingly romantic and gorgeously performed by the expressive band that also lit up ‘We All Want The Same Things’, but it’s also desperately sad—like watching a life-altering failure happen in real time. As his acoustic tour with Fallon rolled on Finn began adding new songs to his set. Blankets was one of them, the ringing chords of its chorus hitting hard even in a skeletal arrangement, along with a track called Magic Marker. In that setting its narrative had a bleached sort of power, as though lit by a single bare bulb. On ‘I Need a New War’, its elaborate staging illustrates the growth in Finn’s solo work, and the ongoing give and take between message and presentation. Backed by a pinched, Steve Nieve-adjacent organ, an E-Streetwise horn arrangement and percussion that breaks open almost of its own volition, Finn takes a person whose problems might also be our problems and lets them have the floor for a moment. “Everybody’s talking ‘bout the President, and me I’m never sure what I should say,” runs the strangely celebratory hook. A New York record, after all, has to also be an American record. “There’s almost a luxury of reading the New York Times, or having an hour to spend, or the education, or whatever it may be, to have this serious opinion,” Finn says. “I feel like some of these characters don’t have that luxury, and they are the people most affected by these policies. I was thinking a lot about those people. Finn approaches these issues as a college educated, and very well read, white man in his 40s—like Bruce Springsteen before him he’s standing up for people whose problems aren’t always his own anymore—but his lens is a sympathetic one, and he is unfailingly warm. Throughout ‘I Need a New War’ there’s a real sense that Finn is using the tools that have served him well to this point to address another heel turn from a country that, likewise, has fascinated him for as long as he can remember. ‘I Need a New War’ takes its title from the song Grant at Galena, a modern character study inspired by Ulysses S. Grant during a period of his life where he was drunk, floundering at a convenience store in Illinois and, as Finn puts it, “really not killing it in civilian life”. “And then the Civil War comes,” he adds. “He joins up, feels like he has a purpose. Abraham Lincoln makes him a general, he wins the war for the Union and becomes President of the United States. In Grant’s story, he rises again. He’s in a lull, or he hopes he is.” It’s certainly not the most impenetrable metaphor Finn has deployed in a song, but it meets the threshold of a glimmer of hope. On stage with the Hold Steady at London’s Electric Ballroom, arms spread wide in praise of Joe Strummer, Jack Kerouac and Dillinger Four, Finn’s message is bruised but resolute. “There is SO. MUCH. LOVE,” he chants. You get the feeling that he’d gladly portion off some of that love for Francis and those like him on ‘I Need a New War’—there’s enough in the building to leave a warm glow in anyone’s chest—and maybe that’s as good a place to start as any. ‘I Need a New War’ is out on April 26 through Partisan. 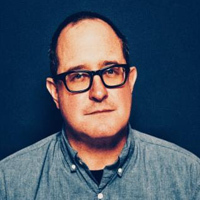 Click here to compare & buy Craig Finn Tickets at Stereoboard.com. Craig Finn has shared another track from his new album, 'I Need A New War'. Photo: Shervin Lainez Craig Finn has confirmed the release of the third in a trilogy of solo albums. 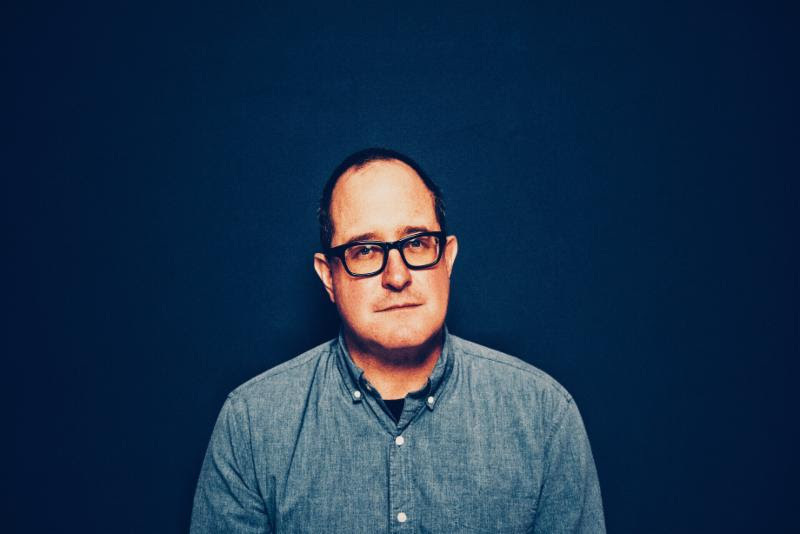 Photo: Shervin Lainez Craig Finn has shared a new song.